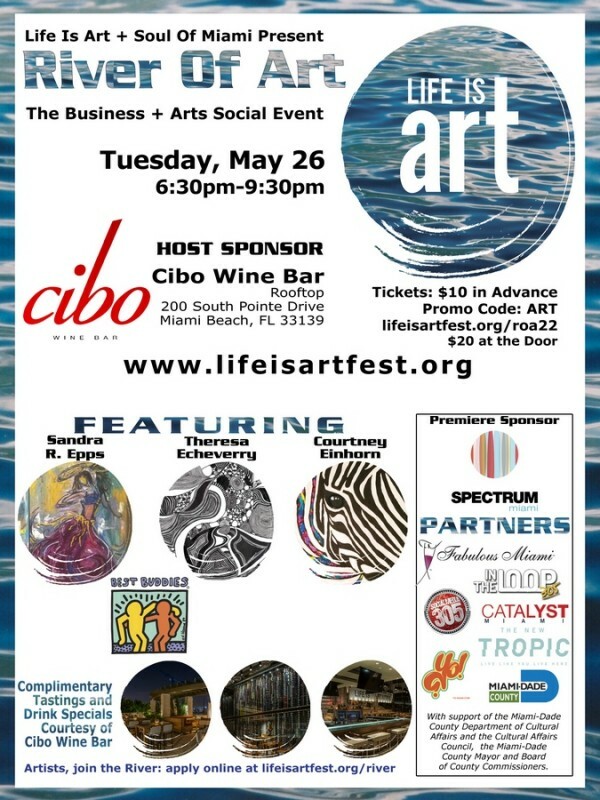 Life Is Art & Soul Of Miami present the River Of Art with an exciting evening of business networking featuring an interesting show, excellent music, delicious cuisine tastings and refreshing beverages. The River Of Art is a monthly gathering place of Miamiâ€™s good people, executives, industrialists, innovators, creators, entrepreneurs, changemakers, activists, and artists. Attendees enjoy complimentary tastings of Cibo Chef’s Selection of Signature: Pizzas, Polenta Fries, Spiducci, Bruschetta, Arancini, Polpettine, and drink specials with entry. ADVANCE TICKETS SALES ARE NOW CLOSED. PLEASE PURCHASE TICKETS AT THE DOOR. THANK YOU! Proceeds go to support Life Is Art’s mission of supporting the arts and community. Includes complimentary tastings and drink specials courtesy of Cibo Wine Bar. 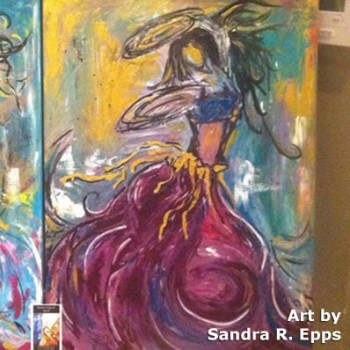 I am a self taught artist born in Charlotte, North Carolina, with a Mexican/Cuban and New Orleans Creole background. Using my international travels and curiosity for diverse cultures as my inspiration for my pieces, I create images on canvas with themes of sensuality and inner beauty. I use no paintbrush at times for many of my pieces, and bring life to the canvas with bright color tones and metallic paints. Native New Yorker with a passion for life, art, and travel. 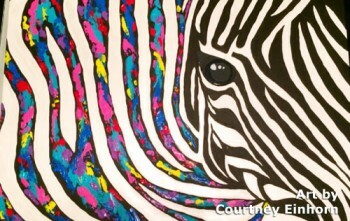 Graduated from SVA with a Fine Arts degree and continued my education in Art Therapy at Hofstra. 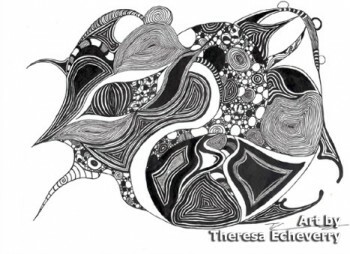 My work describes a state of confusion, loss, and love for the unknown. It transforms into a visual recollection of the world through my eyes full of color, even where there is none, and rich in culture and travel. Currently living in Miami and exploring my art further. Creating a global movement of opportunities for friendship, employment & leadership development for people w/ intellectual and developmental disabilities. Founded in 1989 by Anthony K. Shriver, Best Buddies is a vibrant, international organization that has grown from one original chapter to more than 1,700 middle school, high school, and college chapters worldwide. Best Buddies programs engage participants in each of the 50 United States, and in over 50 countries around the world. Best Buddiesâ€™ eight formal programs â€” Middle Schools, High Schools, Colleges, Citizens, e-BuddiesÂ®, Jobs, Ambassadors, and Promoters â€” positively impact more than 800,000 individuals with and without disabilities worldwide. Best Buddies volunteers annually contribute, at no cost to their communities, support services that equate to more than $168 million USD. South of Fifth’s Cibo Wine Bar…Big Bold & life is Beautiful. Cibo is the biggest and newest Italian eatery in all of South Beach. Created by Liberty Entertainment Group, this bold and beautiful 12,000 sq ft space is a blend of old world rustic and modern industrial chic. Hand-Made Traditional Italian Cibo… a true taste of authentic southern cooking fresh made amongst patrons at the 60ft open kitchen counter. 3500 Bottles Of Vino in a soaring two-story award-winning wine room equipped with harnessed wine angel to retrieve your favorite bottle. From Cibo’s Industrial Chic vibrant bar area to the casual Ocean Drive Street Side Patio to one of Sobe’s Largest Rooftop Patio, every corner turned offers a distinctly different experience. This celebrated eatery would not be complete without original artwork from renowned artists Mr. Brainwash and Randy Cooper. When in Miami, this space cannot be missed! The Soul Of Miami has become one of the most popular local community sites in south Florida. It includes an extensive calendar, listing all sorts of happenings from all over the area: charity, arts, happy hours, concerts, networkers, nightlife, fairs, festivals and so much more. Tens of thousands of active south Floridians visit the site every month.